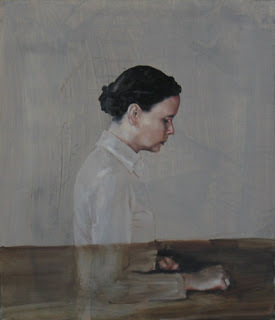 The Belgian artist Michaël Borremans (born 1963) has made a name for himself internationally with his paintings and drawings. 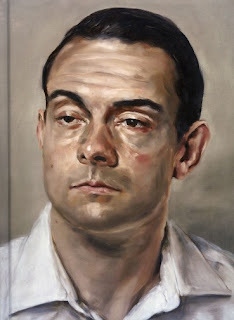 In recent years Borremans has increasingly worked with the medium of film. 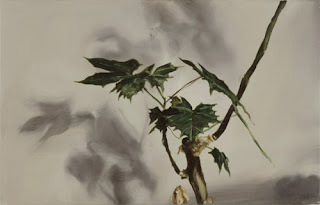 In the framework of his solo exhibition in the kestnergesellschaft, an extensive series of his filmic works will be presented, in addition to new paintings and selected drawings. 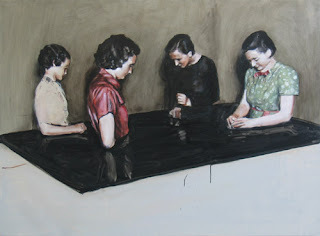 Michaël Borremans’ work spans a wide arc through the resonance chamber of art history all the way to the present. His painterly, graphic or filmic works present situations of human alienation and isolation, triggered by visible or imagined influences of power. He works here with the depiction of individual persons or groups which seem to be isolated in certain actions or rituals. Upon close scrutiny or through filmic repetition, the scenes become picture puzzles. 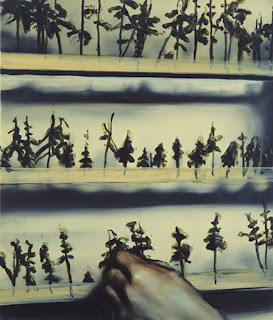 Borremans’ works may also be read as possible commentaries on visual phenomena of the present which, in their impulse towards legibility, are increasingly coming to resemble each other and are thereby becoming inscrutable. 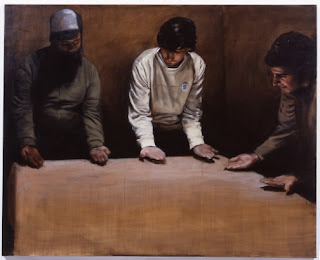 The graphic works of Michaël Borremans serve as the formal basis for his films, which may be designated as tableaux vivants because of their stage-like and performative aspects. Through a slowly-scanning camera movement, a concentrated and intense atmosphere is built up. With slow zooms, he directs the attention of the viewer to parts of the setting such as faces, bodies and pieces of clothing. Borremans’ films, just like his paintings and drawings, balance between an everyday reality of the ordinary and unfathomable, parallel worlds. In the kestnergesellschaft, his filmic works from the last three years will be shown as 35mm and 16mm spatial projections as well as screen presentations. 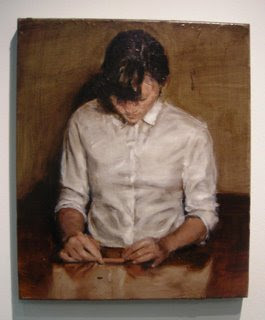 Just like his films, Borremans’ paintings live from a pronounced emphasis on light, color and dimension. This method makes numerous references to the paintings of the old masters. 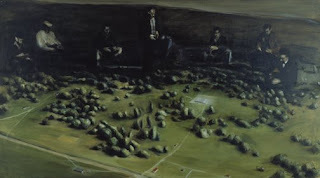 In the kestnergesellschaft, new paintings from 2008 and 2009 will be displayed.